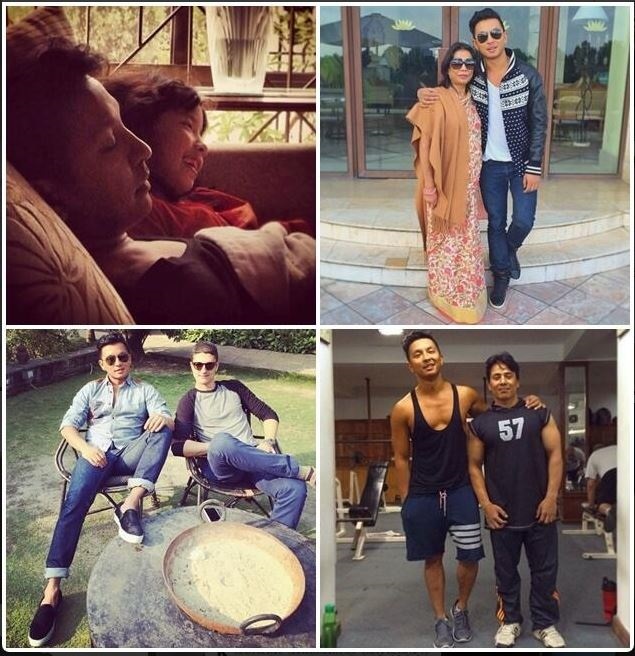 My favourite designer, Prabal Gurung, was in Nepal to celebrate the festival of Tihar with his family and friends. I was so happy to follow his instagram where he treated his entire fan with great photos and videos every day. Lucky for people in Kathmandu, he also organised a fundraiser for Shikshya Foundation Nepal , titled “In Conversation with Prabal Gurung” which became a sell out event. I so wished I was in Nepal for the event. Luckily for his fans like me RVL radio (Revolution radio, Nepal’s one of its kind online radio station, connecting people and music globally. ), big thank btw, did the live broadcast of the event. It was a great experience watching him speak so honestly. It was late night for me when it started but it was worth it when I listen to his story in his own words. I do have to admit some of the people who asked questions wasted their value opportunity by asking unimportant/useless questions but nevertheless the event was a huge success. I keep on reading experience of the people who were there and definitely envy them. Here is the report on myrepublica.com regarding the event. “My family is the source of my strength and inspiration,” shared Prabal Gurung, the much acclaimed fashion designer, at a conversation program held at Army Officer’s Club Auditorium in Bhadrakali, Kathmandu on Friday. 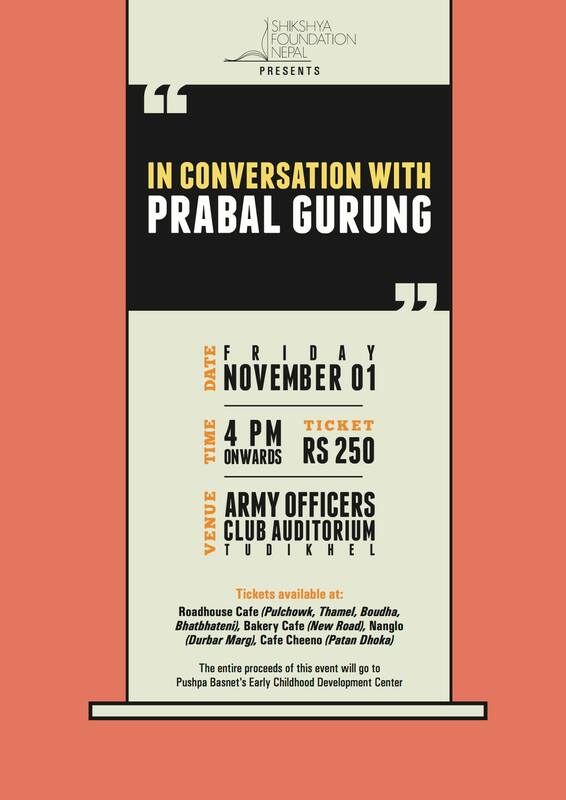 Titled “In Conversation with Prabal Gurung”, the program was organized by Shikshya Foundation Nepal, of which Gurung is one of the founding members. 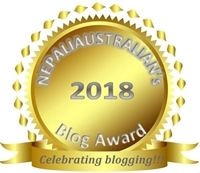 The proceeds collected from the program will go to CNN Hero Pushpa Basnet’s Early Childhood Development Center (ECDC), an organization dedicated to educating the children of imprisoned parents in Nepal. Ashutosh Tiwari, the Head of WaterAid Nepal was the moderator of the conversation, which was attended by hundreds of enthusiastic audience who was keen to see Gurung live and learn about the designer, whose list of clientele includes high profile Hollywood stars, along with the First Lady Michelle Obama. Present at the event, Apeksha Ghimire, 13, a student of Kaasthamandap Vidhyalaya in Mandikhatar, shared, “I’m very glad to have come to this event because listening to Gurung’s success story has motivated me a lot. Being a Nepali, he has reached such great heights and it boosts me up as a student to strive harder to reach my goals too.” She further said the cause behind the charity event encouraged her to be a part of it. She further added that since the proceeds of the event will go to the education of her children from ECDC, the program has served two noble purposes. I was over the moon when RVL radio announced that they are going to have one on one with Prabal Gurung. BTW great job Prasan from RVL radio! While I was listening to him, I wanted to go to Skype and talk to him too but I knew that there was a long queue so just enjoyed watching him on Revcam and listening to his answers. If you have missed the live broadcast, here are some snippets. 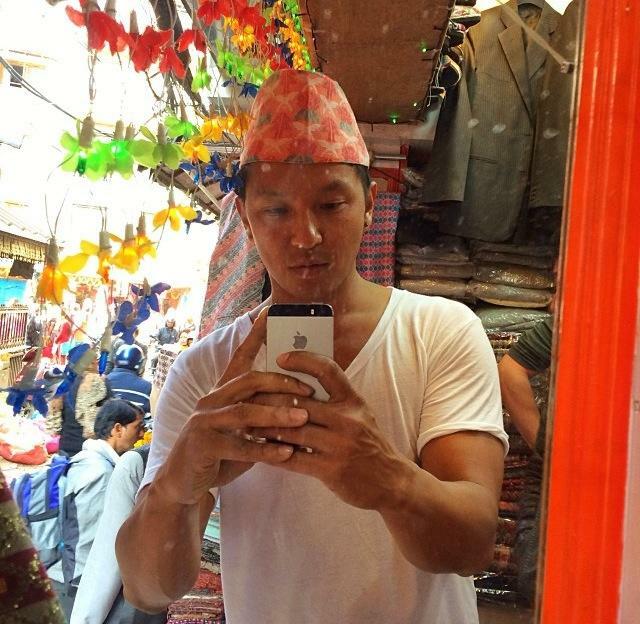 When he was in Nepal he was all over the Nepali media and the lasted issue of on TNM Magazine featured Prabal Gurung on the cover. Some of my favourite quotes of Prabal Gurung so far. Fashion icon Prabal Gurung has had a fantastic journey since he wowed the world with his eponymous collection at the New York Fashion Week 2009. His innovative and cutting-edge designs have made Gurung a known face in the global fashion circuit. Having had his designs adorned by the likes of First Lady Michelle Obama, The Duchess of Cambridge, Lady Gaga, Oprah Winfrey and other celebrities, Gurung has fashionably carved a niche for himself. In an exclusive with TGIF he spoke with Terence Lee straight from the heart. Q. Tell us something about growing up in Nepal. Does that experience influence your designs? A. Growing up in Nepal, I have always been aware of the rich culture and heritage and that has been a huge influence on me as a person and hence affects me as a designer. The way women gracefully carry themselves here in Nepal is reflected in my designs. The colours I choose are very subtle and my designs are predominantly red with draping like saris that are worn here. But at the same time I didn’t want to limit myself as an ethnic designer. I wanted to emerge as an international designer. Q. From global fame after the New York Fashion Week 2009, you have gone from one achievement to another. How would you describe this journey till date? A. The journey has been exciting, humbling, one of absolute gratitude and more than I had imagined. I didn’t imagine accomplishing this or that in this year, but I had always wanted to do all these things. When I moved to New York and started working in fashion most people did not know about Nepal. The fact that many designers and celebrities have now come to Nepal feels great. It feels great to represent Nepal in my own way and I feel blessed. Q. One lesson you have learnt on this journey. A. The journey has not been easy but there are always ups and downs with everyone. The one lesson I have learnt is perhaps to be completely honest and true to myself and to keep listening to my heart. I always feel that with 100 per cent integrity and absolute passion and hard work things will work out. Being famous cannot be the end goal. Q. ‘Prabal Gurung’ is a brand in the Fashion World. Nepal sees you as an icon with pride. How do you feel about that? A. It’s an honour I hold with great pride and absolute humility because I feel very blessed. I was not your typical bright student. If you had asked people back then if I was going to be this person, they would have laughed. Nobody would have believed it, including me. I knew I wanted to do something different and something that I love. I hoped I would be able to survive in the early days and I am happy with the way things have worked out. Q. Women have always inspired your designs. How do you know what women want? A. So you basically want my secret (chuckles)… the thing is that women have so many layers and are very complex. Without being sexist, I think women are emotionally different from men. I have understood what makes women comfortable and what they want to look like. Again if there is one thing that’s the truth, it is that every woman wants to look beautiful and my designs stem from this idea. I try to make them look beautiful and not ridiculous or vulgar. I want women to look their best and the most graceful. So that’s my little secret and the motivating factor for my designs. Q. You have designed and dressed some of the most famous women. Is there any one woman that you would like to design for in Nepal? A. There are so many women. While I may not know many public figures in Nepal, there are many friends and family members who do buy and wear my stuff. If not a designer you’d be… I would not be alive! Your designs reflect: The epitome of beauty, elegance and timeless modernity. The thing you miss most about Nepal: My mom’s cooking and my family. Click here for more on Prabal Gurung.